Having visited the Marurui branch of Jacaranda Creations several times before, I was surprised to find a newly paved road leading up to the very edge of this area. 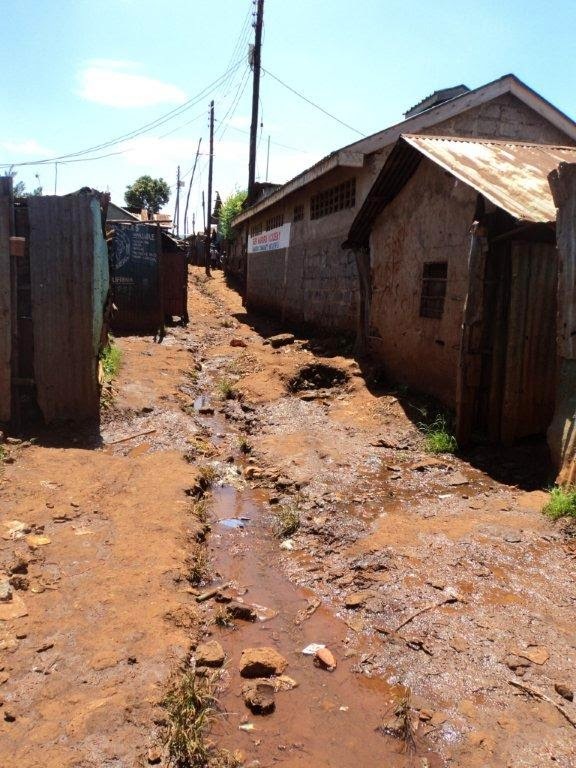 That new road contrasts starkly with the narrow bumpy lanes leading through the Marurui slum in Kenya. This slum boasts power lines and paths barely wide enough for vehicles, but still vehicles can be found traveling through. One of the smallest of the 22 slums in Nairobi, Marurui is said to house about 25,000 people in just over 1,500 shanties. That’s about 16 people per house, somehow I suspect many sleep on the streets. 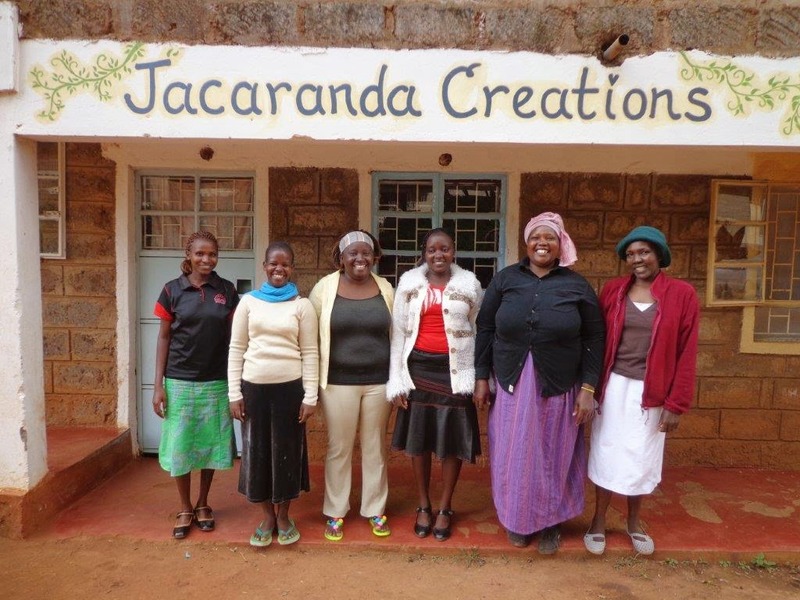 Jacaranda Creations ministers the Gospel to the poor, especially women, teaching them creative ways to provide for their families, lifting them to a place of dignity an empowerment through practical training with the Word of God. 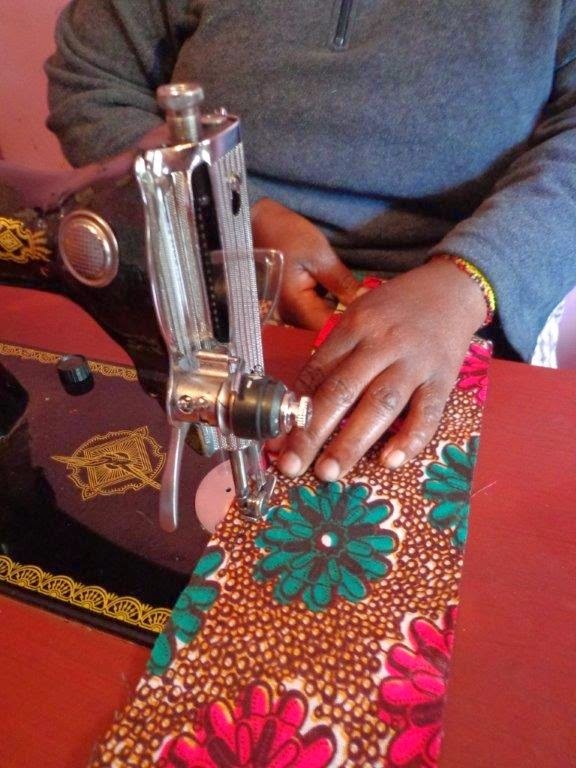 Another way they achieve their mission is by teaching sewing skills in a variety of slums around Nairobi. They train up branch managers and those branch managers train up others all of whom are responsible for making the beautiful products we all love. 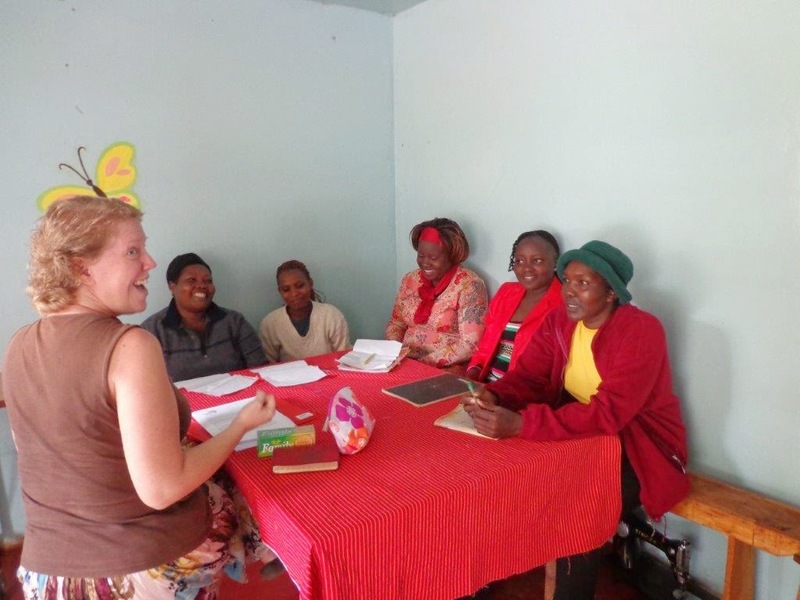 Jacaranda is involved in a number of ministry projects, which makes schedule coordination a challenge. 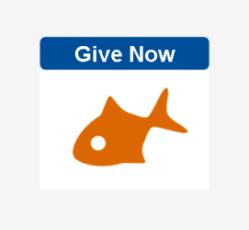 The challenge was no less significant this time around, but we agreed to just go for it. Given that I am familiar with the Marurui branch and that many of those ladies know me, all our concerns were for naught. We had a great time together. Seven of us gathered around a small table to learn together. While I don’t usually teach in such small groups, I really enjoyed this experience because it was so personal, we knew one another better, and I could speak specifically to their needs. I’m so thankful we finally got started and I firmly believe this experience will make our next schedule easy, we won’t have to fear we’ve not planned well or that the timing is right. I can just go. I love this ministry and these ladies with my whole heart and can’t imagine my life without them. Thank you for welcoming me more than 3 years ago and for making me feel like one of the gang.